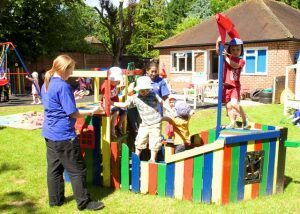 Millwood House Day Nursery is the epitome of a real nursery – homely, fun and family run, where the care, education and welfare of young children is of paramount importance. Established in 1991 by a mother and daughter partnership, the philosophy at Millwood House has remained unchanged, to respect and recognise each child as an individual, encouraging laughter and fun in a warm, happy, secure environment. There is everything to offer a child at Millwood House Nursery, whatever the age or stage of development. The nursery has extensive grounds with a new vegetable garden on plan – room for the children to run and laugh and breath fresh air. The staff ages range from 19 to 60, with a good mix of qualifications and experience. Ongoing training ensures a freshness and vitality that show on the faces of all those who work within the Millwood House ‘Family’. A new chef has joined us with a fresh approach to meals, bringing world dishes to the menu while paying attention to the nutritional needs that maintain a young child’s health. Staff join our youngsters at the table and everyone eats together to encourage good eating habits and good ‘old fashioned’ table manners. Millwood House provides a wide range of equipment for play and learning and has explored the true psychology of childcare. This is demonstrated through day-to-day nursery practices, giving children the opportunity to be them-selves by recognising their individual potential. 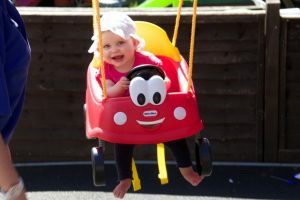 While life is often fast for us as adults, we recognise that children have their own pace, their own tastes and their own way of learning; we nurture and encourage this in the way we play and talk with our young children. Babies too have a very significant place with us and learn how to socialise and play through observation, emulation and contact with the other children; integration is important for all children and we encourage socialisation. Regulated and inspected under the Children’s Act by OFSTED to ensure that our practices and procedures follow all day care procedures. Read what our parents have to say.